To order additional certificates for your office or patient treatment rooms, please complete the order form and mail or fax it to the ABVLM headquarters office. 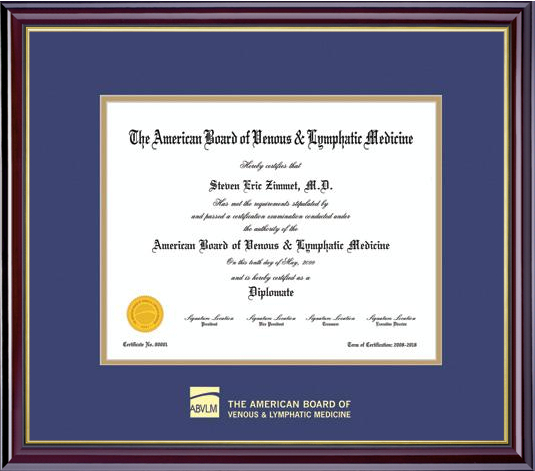 If you are interested in a custom, hand-made frame for your certificate, one (or more) can be obtained through Framing Success. They have a about a dozen frame moulding selections from which to choose, and the prices on their site are already discounted 15% for ABVLM Diplomates.